Today’s Final Jeopardy answer (in the category European History) and statistics for the Wednesday, April 10, 2019 game between Laura Hertzfeld, Jeff Henderson, and 4-day champion James Holzhauer. 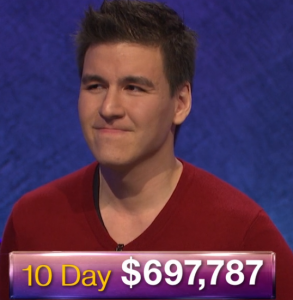 James Holzhauer returns this week as champion on Jeopardy! ; see who joins him here!